Is Welding Automation for Me? Are you looking to automate your welding process? Not sure whether fully or semi-automatic is the way to go? Fully Automatic Welding is generally used to describe a welding robot. Used widely in the automotive industry in the manufacturing of cars, these robotic welding machines completely remove the need for a work force, everything is done by the machine, even down to the cleaning of the welding torch! Some advantages of fully automatic welding are that it is obviously a lot quicker than manual welding, and produces more consistent welds, ideal for the large volumes required in industries such as automotive, and component manufacturing in industries such as aerospace and renewable energy. However the initial outlay for the equipment etc. is higher than their manual or semi-automat alternative, there is also no need for any real kind of work force, which could be seen as an advantage or disadvantage depending on your views. A popular alternative to fully automatic welding is semi-automatic welding equipment, this includes all the main processes, such as MIG, TIG and Sub Arc. 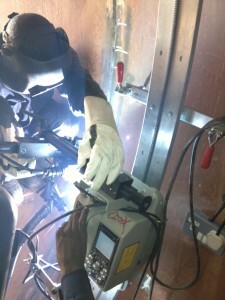 Rather than doing the welding by hand, the equipment does the welding, whilst an operator monitors the job and the weld. Examples of semi automatic welding processes include orbital mig (gmaw), orbital tig (gtaw), submerged arc welding and resistance welding spot/seam. Gullco are a welding automation specialist and offer a wide variety of equipment for semi automatic welding and cutting equipment. Again this process is much quicker than manual welding and often produces better, more consistent welds than manual welding by hand. You will benefit especially if there are large welds involved, or great quantities as a lot of time will be saved. Semi automatic equipment is also ideal in industries where weld strength is a key factor, as the weld is often a much better quality. 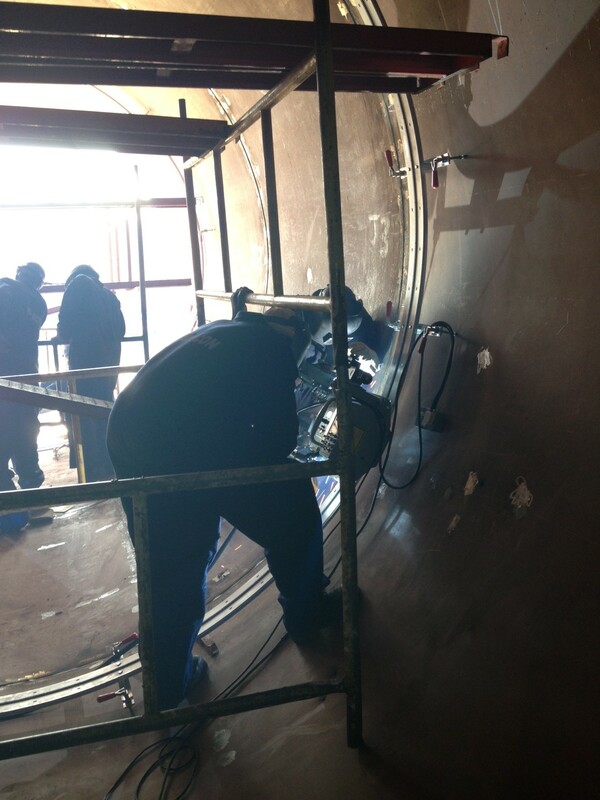 Equipment such as column and boom manipulators are used alongside the sub arc welding process in the production of vessels and cylindrical steel tubulars, holding the welding head in place. 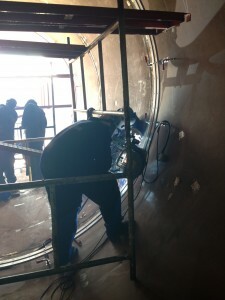 The equipment still requires operators to programme, load the work piece and monitor the welds, however you can even get cameras to monitor the weld as it is being put down! Westermans have a variety of semi-automatic welding equipment in stock, from submerged arc welding tractors to orbital tig welders and lathe type equipment. This entry was posted in Customer Resources, FAQs, Welding and Cutting Processes Information. Bookmark the permalink. One Response to Is Welding Automation for Me?